Most mammals can use their sweat glands to cool themselves down. Elephants cannot sweat so they have to use other means to cool down. They pump huge amounts of blood through their ears (which represent 20% of their body surface) while waving the ears – as one means of cooling. They also try to use shade wherever possible and take extended baths on hot days. 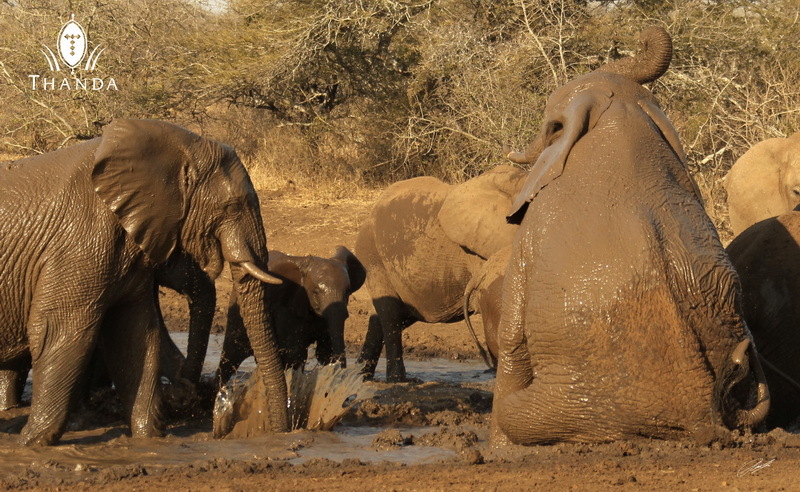 But one of the most effective ways of lowering their body temperature is to take a mud bath. The drying mud draws a lot of heat from the body and cools them down very effectively. 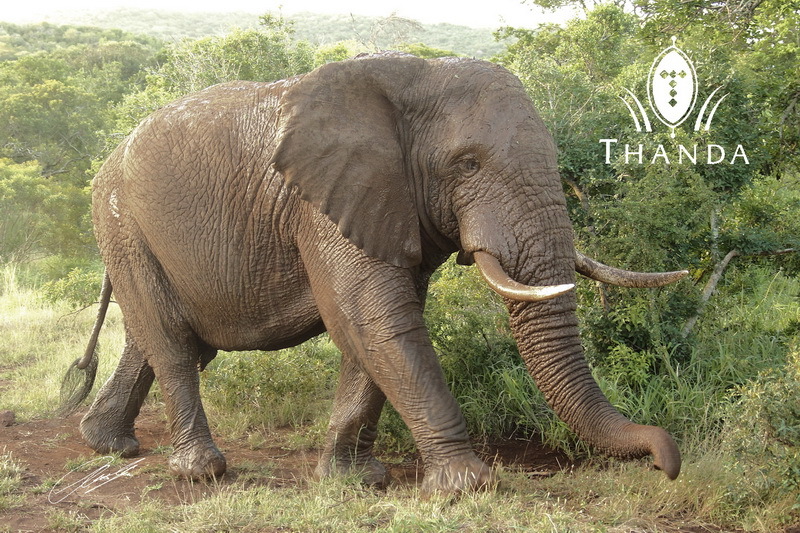 On yesterday’s evening game drive I took this picture of one of the largest Thanda bulls after he had a thorough mud bath. The second picture is of a “family bath” a few month ago. Interesting facts. And I don’t think I have ever seen an elephant “sitting” before. Great photos. Thanks for sharing! We humans take mud baths because we think it makes us beautiful.